January is the coldest month in China. Large parts of China reach the peak of severe winter weather except for locations in South China, such as Guangzhou, Hong Kong, Macau, and Hainan Island. These places never really get cold and are comfortable winter escapes for people from colder latitudes. Snow falls in North China (Harbin, Beijing, Tianjin), and it might feel even colder still in Central China because the humidity level is high. 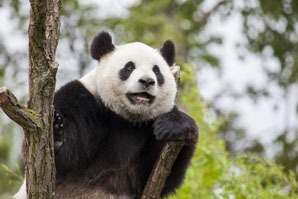 Read on to get more China in January weather information and our useful travel tips. Tourism: January is the low season for most areas of China except for Harbin, which is popular for winter travel. This means most destinations are less crowded and prices go down. China is large. Weather differs greatly in different regions. See below our summary for January weather in major regions around the country. North China is extremely cold in January. 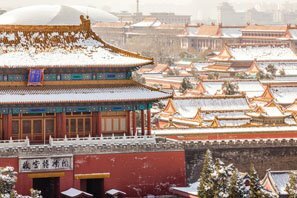 For Beijing, the average temperature is -9–2°C (16–36°F) and there is typically just 1 day or 3 mm (0 in) of rain/snow in January. 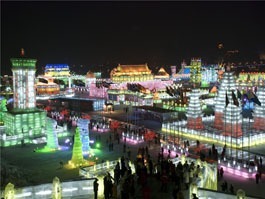 Harbin is much colder than Beijing, averaging -25 – -13°C (-13–9°F)! Snow sometimes falls in North China and it usually accumulates on the ground at the end of the month. There is little snow, however, because North China is dry. The dry weather in northern areas provides a good climate to do outdoor activities like skiing, but remember to dress properly for the cold. Clothing: You&apos;ll need an extra thick coat and layers of clothing to stay warm as well as gloves and a hat, long underwear, and winter shoes/boots with good traction. Windy, humid, and damp weather drives people inside and most tourists to other places in January. Although it&apos;s the coldest month in China, the temperature doesn&apos;t always go below zero degrees in East China. So if you are from Northern Europe or Northern America, the temperature is not that bad. Take Shanghai as an example — it experiences an average temperature that&apos;s not much above freezing. The average temperature range is 0–8°C (32–46°F) and there are typically 4 days (51 mm, 2 in) of rain/snow in January. Clothing: winter coat, etc., rain gear, and water-resistant shoes. January&apos;s central China weather is freezing cold. 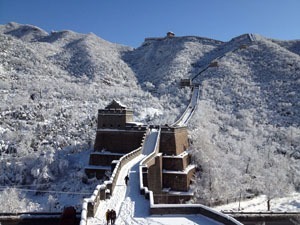 It snows several times in the month, and ice and snow are often on the ground, even in areas south of the Yangtze River. Because of the higher humidity, it might feel even colder than Beijing to the north. 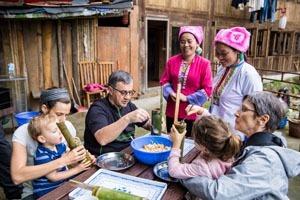 Take Chengdu as an example — the average temperature range is 3–10°C (37–50°F) and there are typically 13 days (7 mm, 0.3 in) of rain/snow in January. Buildings in central China don&apos;t have indoor heating systems, but hotels and restaurants will turn on their air-conditioning units to the heat setting. Clothing: Take an overcoat and layers of clothing to stay warm as well as gloves, a hat, and water-resistant shoes with good traction. Although January is the coldest month in China, the southern areas still have comfortable temperatures for traveling. 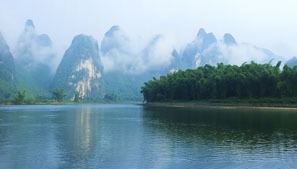 Guilin feels cold because of the high humidity level, although it almost never freezes. The average temperature is 6–10°C (43–50°F) and there are, on average, 18 days (21 mm, 1 in) with light rainfall in January. As long as you are warmly dressed, you can enjoy your time at the attractions and on a river cruise. In Hong Kong in January, the weather is pleasant and mild. The warmer temperature makes your trip easier and more enjoyable. The average temperature is 15–18°C (59–64°F) and there are, on average, 22 days (21 mm, 1 in) with light rainfall in January. January is not a good time to travel in Xinjiang because it is simply too cold, with temperatures well below freezing, as well as heavy snow and biting winds. Oxygen levels are low in Lhasa because the weather is cold. Due to the high altitude, it feels warm when it is sunny. It only snows a little — about once a month. Tourist travel attractions might be closed during the Losar (Tibetan New Year) Festival. 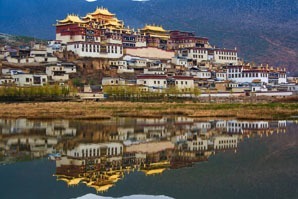 Many cities in Yunnan Province benefit from pleasant winter weather with sunshine, but high altitude areas are frigid. 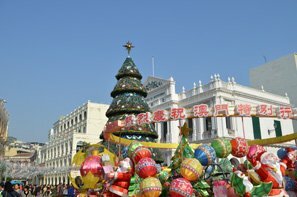 Take Kunming (capital of Yunnan) as an example — temperatures average 2–15°C (36–59°F) and there are typically 4 days (14 mm, ½ in) of rainfall in January. Clothing: Dress in layers and take your coat, gloves, and a hat. 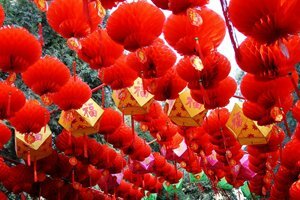 January is the low travel season for China, except during the Spring Festival. Travel costs are lower, businesses offer bargains, and attractions are less crowded. Planning a China trip? Our travel advisors are happy to give you suggestions and guidance when planning your trip. 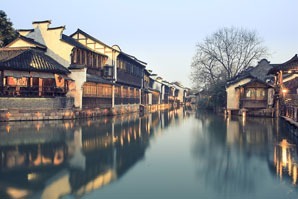 If you are interested in touring China in January, contact us for help. 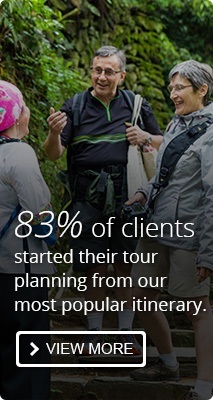 Let us help you plan a personalized January tour.